This wide ranging collection of essays allows the contemporary reader to grasp the extraordinary variety and depth of the statesman's mature thoughts on questions, both grave and gay, facing modern man. Churchill begins by asking what it would be like to live your life over again and ends by describing his love affair with painting. In between he touches on subjects as diverse as spies, cartoons, submarines, elections, flying, and the future. The northeastern quarter of the continent of Africa is drained and watered by the Nile. Among and about the headstreams and tributaries of this mighty river lie the wide and fertile provinces of the Egyptian Soudan. Situated in the very centre of the land, these remote regions are on every side divided from the seas by 500 miles of mountain, swamp, or desert. The great river is their only means of growth, their only channel of progress. Lots of fun for war enthusiats. Taken prisoner by the Boers, Churchill makes a daring escape. Back home he embarks on the political career that is to make him one of Britain's most distinguished parliamentarians. 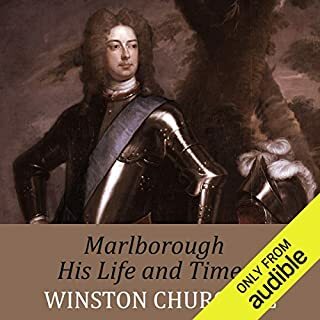 First published in 1930, when Churchill's most testing time still lay ahead of him, My Early Life is memorable both as an adventure-story and as an account of the events and influences that helped to shape the career of a great Englishman. And so he was. Another reviewer has likened the adventures in this book to those of Indiana Jones, and they are about right (with the crucial, almost unbelievable difference that these adventures aren’t the product of Hollywood scriptwriters and stunt men). Accused of rampant self-promotion then and later for his willingness to insert himself into the thick of events, it’s hard not to see his side of things. Born to privilege, he nevertheless found himself on the outskirts of power—due to his father’s political miscalculations—and in need of a way to make a living. Not content to merely possess a respected name, he strove to make others respect him. Though without an aristocratic purse he certainly enjoyed an aristocratic self-confidence—and a confidence in his country and its empire—that carried him through events that would leave you and me seeking the nearest bomb shelter. There is much here to cheer us non-glow worms. He was, for example, a flat failure at school. Mathematics and languages frustrated him as much as they frustrated you and me (well, me at least). He lost his first election—a local by-election—by 1,300 votes. His first foray in the public arena—a speech excoriating the barriers that had been erected in music halls to separate the sexes—was never delivered. And perhaps most oddly of all, considering his later reputation, he had to learn to like the taste of whiskey. Then there is much to make us feel our worm-hood. He escaped captivity in the Boer War twice, hiding in mines and bales of wool. To be in on the campaign that climaxed at Omdurman, he braved the official disapproval of no less a man that Kitchener. It was that bit of hutzpah that lead to his participating the last cavalry charge in British military history. He used the hours of leisure afforded a cavalryman stationed in India to read, making up for his lackluster academic performance. He was under fire more times than I can count. He wrote so well about it all, in both newspapers and between the covers of books, that his work caught the eye of the great—and put his finances on a firm footing. At the end of this volume (published in 1930), it’s hard to believe that the biggest chapters of the story are still waiting ten years in the future. Fredrick Davidson was the perfect selection for this recording. His cadence, his sense of the shape of sentences and his unerring way of adding just the right sarcastic, humorous or excited edge to the words—along with the slightly Churchillesque tone he assumes throughout—can make it seem at times as if you’re hearing the man himself. Crisply written and wry, Churchill's Early Life gives the reader a retrospective of military life in the waning British empire. Churchill recounts minor actions in Egypt and India and his capture and remarkable escape during the Boer war, all through eyes that had since witnessed, and had been deeply affected by, the Great War. Without dwelling on the moral aspect to these adventures, he finds that their justification does present challenges. Worth reading as history, or as simply a good story. Churchill writes with wit, candor, and informal ease. Many parts of the story, such as childhood and school, may relatable to the reader, as they were to me, despite differences of status and era. The narration is superb. I felt like I was listening to Churchill speak to me directly. This first part of the great man's life story also contains unintentional foreshadowing (as it was written in 1930.) it ends rather abruptly, but in the most charming and intimate way! All you lovers of history, listen to this book! I confess that I am not generally a huge fan of autobiography, but I will make an exception for this one. Churchill was as good a writer as he was a speaker. The book makes a great listen to a story of an interesting time in history. Great stuff. 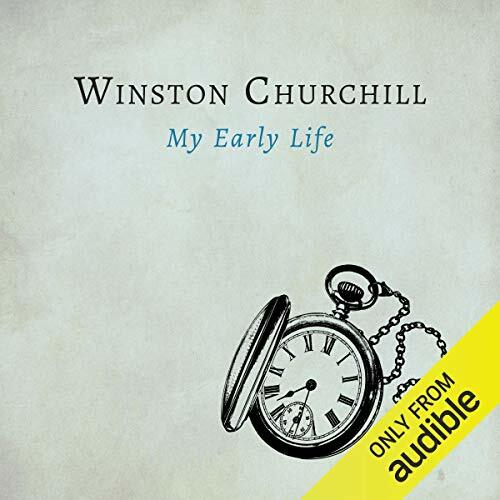 Would you consider the audio edition of My Early Life to be better than the print version? Mr. Churchill himself. I've admired him since I was a child. Here, in his own words, he openly and often humorously discloses his early life experiences. I felt like I was sitting in his study, listening to the great man share his tale with me, as if I were a confidant. It was a fantastic experience. I've enjoyed various Churchill biographies, but this partial autobiography beats anything written by other authors. Which character – as performed by Frederick Davidson – was your favorite? The Evolution of a Giant. Mr. Churchill is sometimes portrayed by other writers as brash, conceited, and overconfident, even narcissistic. His own words reveal him to be modest, self-deprecating and sometimes quite insecure. I think the negative opinions of Mr. Churchill had several origins--slurs from political rivals and critics, and exagerations stemming from jealousy. In this book, I find Mr. Churchill to be very human, kind, funny, brave, determined and patriotic. He is also the best of friends, loyal beyond measure. I wish I could have known him personally. Thanks to his book, I now do. Where does My Early Life rank among all the audiobooks you’ve listened to so far? Churchhill was a master of the English language and sentence structure. 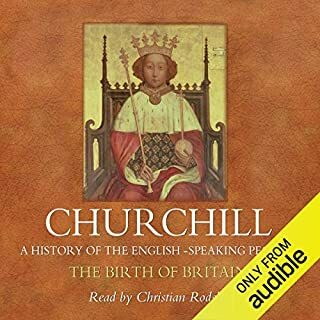 The performance of the reading of this book was so well done you could not imagine that Churchhill had not read it himself. this was a great book – – very entertaining and very educational. I give it my highest possible recommendation. What other book might you compare My Early Life to and why? I have approximately 25 audio books in my library. Nothing compares to this book. The entire book was filled with information, education, and humor. It was not a doll moment. Churchill is the Cicero of the English language. This story is a prime example of Churchill's ability to communicate, inspire, and dive to the heart of an issue. Great story about Churchill's early years. What made the experience of listening to My Early Life the most enjoyable? Interesting to hear about his childhood years and his struggles. Overall a good listen. I seem to have a problem staying focused on narrators with a British accent, but it wouldn't seem right otherwise. It could be that I'm just having a hard time with the strong English accent. I wanted to listen to the story but was very distracted because of the strong English accent. It just seemed to be too much work to listen to for me. A combination of a real biography and a tail of true adventure. I thought I new a little of WC but I knew nothing of what shaped him through his first quarter century. Very enlightening. What was one of the most memorable moments of My Early Life? An engaging journey from his first memories of childhood through to his early political career. Being read by a very plausible voice alike of the man himself gave extra gravity to this book. I listen to this book every day using my one hour commute until it was finished. A most excellent book that I would have no hesitation in recommending, in fact only my second audio book and it helped me become hooked into the concept. 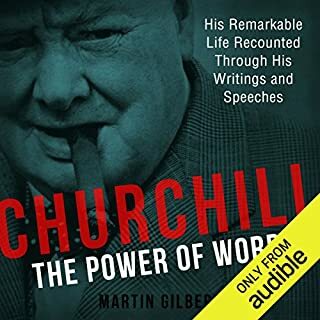 Churchill’s brilliant use of the English language conveys his observations and ideas through which he displays his unique logic and sense of history. This book should inspire generations of readers to ‘never give in’ even when struggling against seemingly insurmountable odds. Given that the outline of the story is so well known, the detail and occasional touches of humour made this both informative and a pleasure. I could only imagine such a life! This is truly boys own stuff. 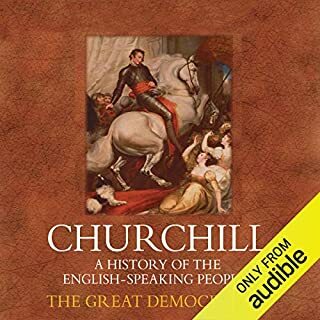 Living in the comparatively safe, sterile, politically correct 21st century you cannot imagine such an experience and the way it formed Churchill’s later life and opinions. I have travelled the world for business but rarely been out of my comfort zone and virtually never been in anything approaching a life threatening situation, with probably my most stressful experience being getting lost in a foreign city when you are really not lost at all. To be in battles, get captured, escape and the somehow have the strength of character to wander around what was a primitive South Africa in a period of war and somehow manage to reach safe territory seems like the plot of some far fetched novel, but instead it was the reality of life in the Victorian era and start of the 20th century. I hate to use the phrase, but a truly awesome story and well read. My Early Life - Review. A remarkable adventure and start of a young man's journey to be, who history has judged , our country's greatest Briton. A superbly written and spoken book for anyone, not just fans of Churchill. I got a bit bored listening to this Audio. When it came to Chapter 2, I didn't want to listen to it anymore. Its a shame as I love to read about Winston Churchill. I think it could be down to the narrator. 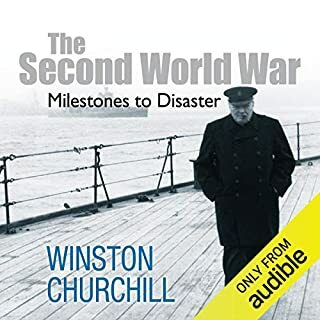 Like Churchill's two other great works, The World Crisis and The Second World War, this book is an autobiographical history of great events in which Churchill was a participant. But in contrast to the others, multi-voluminous and packed with extraordinary detail, My Early Life adopts a more whimsical style. It is Churchill at his most entertaining. 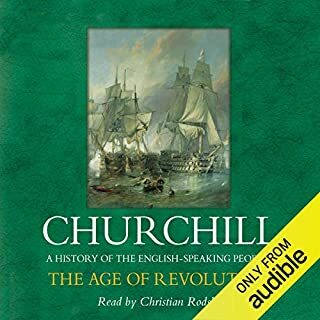 I'm a great fan of the other two books as histories, but this I think is by far Churchill's best and most readable. Manystories on war that felt repetitive and too much in detail - >70proc of the book. From being not a fan of Winston being what I thought a hard done by Australian during WW2 U am coming to like him the more I read of him. What did you like best about My Early Life? What did you like least? The early parts were interesting but his life of training for war is so far removed from today that I found it difficult to understand. Would you ever listen to anything by Winston Churchill again? Have you listened to any of Frederick Davidson’s other performances? How does this one compare? He is very very good. Sounds like he could have been Churchil himself. Could you see My Early Life being made into a movie or a TV series? Who would the stars be? Am returning cause its boring after tgd beginning.